VENTNOR – Vowing to remain engaged on the issues he focused on during his time in public service, former U.S. Rep. Frank A. LoBiondo today announced the launch of LoBo Strategies, an independent consulting firm providing solutions-driven strategic advice to help clients through the challenging landscape of the federal government, Congress and public opinion. LoBiondo, who departed the U.S. House of Representatives in January after 24 years, will serve as chief executive officer. His long-time communication director and Chief of Staff Jason Galanes will be a strategic consultant. Establishing the consulting firm was a logical next step after serving in the U.S. Congress, he said. “I will take the same philosophy to helping clients that I took in Congress, namely a bipartisan approach to find common-sense solutions. 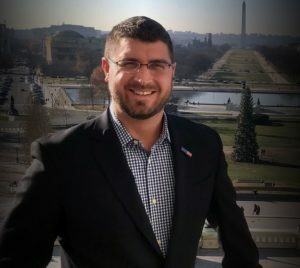 It is clear to me and those I will work with that getting positive results in Washington will require support from all sides,” he said in a blog post on his website lobostrategiesllc.com. 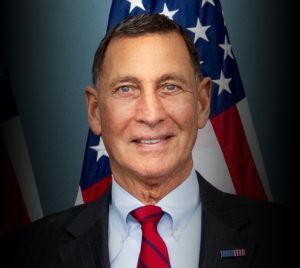 LoBiondo was a senior member of the House Transportation and Infrastructure Committee, House Armed Services Committee, and House Permanent Select Committee on Intelligence. He chaired subcommittees on aviation, Coast Guard and maritime transportation, and CIA during his time in Congress. Drawing on his experience in Congress, LoBiondo will advise clients in the fields of aviation, maritime, defense, intelligence and national security. LoBo Strategies will also work with clients on unmanned aerial systems, general transportation and infrastructure issues, environmental issues and fisheries. He has already agreed to serve on the New Jersey chapter of The Nature Conservancy’s Conservancy Council. Galanes worked in the U.S. Senate prior to joining LoBiondo’s Congressional office in 2005 and will be based in Washington, D.C.
LoBiondo lives in Ventnor with his wife Tina and Weimaraners, Lucia and Lex. They will split their time between South Jersey and South Florida where Tina sells real estate..